Left to right: David Tomlins, Anne Astin, Mick Keogh, Ros Harvey, Mike Briers, Bronwyn Harch, Gavin Smith, Gerard Davis, Garry Gale. On 30 November we attended the final interview in Canberra as part of the The Food Agility CRC bid. We pulled together an awesome team representing the broad spectrum of our partners (pictured above) to be interviewed by the Cooperative Research Centres Advisory Committee. It was a fabulous team effort with everyone performing their role on behalf of all our partners. It was fantastic to have finished the whole bid process on such a high note - now we await the final announcement. L to R: Johanna Plante, Gavin Smith, Stuart Waite, Warren Lemmens, Frank Zeichner. L to R: Justin Anderson, Frank Zeichner, Catherine Caruana-McManus, Piers Hogarth-Scott, Hon Angus Taylor MP, Nick McInnes, Mike Briers, John Stanton, Chris McLaren. SYDNEY, Australia: An alliance of Internet of Things (IoT) industry players, corporates and government today launched Hypercat Australia as a technology standard to support the development of Smart Cities. Hypercat (for hypermedia catalogue) is a UK-developed alliance and standard that enables free communication from any connected IoT sensor or device being used to monitor an environment. Increasingly, IoT is being used by smart cities to help inform decision making and improve city services, from air quality and energy usage to traffic flows and asset utilisation. The Anglo-Australian collaboration aims to establish Hypercat as a global standard. Mike Briers, CEO of the Food Agility CRC, said 'We are delighted to have been selected. The future of food is digital. The Food Agility CRC will create a focused effort to accelerate the benefits for Australia from harnessing consumer insight, to reducing the cost of compliance with food safety standards, to increasing access to finance through better handling of risk, to creating the knowledge workforce that will drive the future of the industry'. The vision of the Food Agility CRC is to empower Australia's food industry to grow its comparative advantage through use of digital technology. The bid is led by the Food Agility consortium which brings together the food industry, big technology and service providers, researchers along with state and federal governments. The consortium will now submit a full business case and proposal. The announcement follows a highly-competitive process for Federal Government support for long-term research efforts. We're thrilled that KEi's Co-Founder and CEO, Dr Mike Briers has been recognised in the 2016 Queens Birthday honours roll. He has been made an AO, Officer in the General Division of the Order of Australia for his distinguished service to the finance and digital technology sectors, particularly in the area of data intensive research and analysis, to higher education, and to Judo. Chief Executive Officer, Securities Industry Research Centre of Asia-Pacific, 2001-2015. Co-founder and Chief Executive Officer, Knowledge Economy Institute, since 2015. Director, The Yield, since 2015. Acting Director, Sense-T, 2014. Advisory Council Member, Centre for International Finance and Regulation, 2012-2015. Founding Member, Conscious Capitalism Australia, since 2012. Founding Chief Executive Officer, Intersect Australia, 2008-2009. Founding Member, Capital Markets Co-operative Research Centre, 2001. Member, Prime Minister's Knowledge Nation IOC, 2015. Industry Professor, University of Technology Sydney, since 2015 and Adjunct Professor, 2008-2012. Associate Professor of Business, University of New South Wales, 1998-2003. Recipient, Prime Minister's Award for University Teaching (Business and Economics), 1998. Encouraging data collection and collaboration. The Internet of Things has the potential to unlock unparalleled levels of insight and knowledge not previously available, according to the CEO of the Knowledge Economy Institute (KEi), Mike Briers. But he said that the industry needed to collaborate better, in part because the inherent complexity of IoT solutions means that attempting to fly solo is not an option. “In the Internet of Things world, you only have to look at the technology stack in terms of whether it’s sensors, the communication network, the data platform, the analytics, the user experience, or security and privacy to realise that it’s very difficult for one organisation to get their head around all of it,” he said. “IoT is a game-changer, and quite distinctive from the broader area of big data,” he said. Briers believes “the value of [IoT] data increases with its circulation”, and his work with the KEi involves finding ways for companies and researchers – who have traditionally been protective of their data – to make it available to others for the benefit of everybody. Briers described two schools of thought on the notion of IoT data collection and distribution. Firstly, the idea of “measure it and they will come", which he said is currently being demonstrated through internet connectivity being embedded into new products. Briers cites Bosch as an example of this approach. It is embedding connectivity capability under the assumption that someone will find a use for it on any given device they manufacture. “This is sometimes missing from Internet of Things conversations, where you can start with a problem and then you can measure the attributes and the environments you need to help solve that problem,” he explained. Australia is poised to become an IoT "hotbed" if it can increase industry collaboration and win innovation support from government, according to an expert panel. The experts believed Australia was uniquely placed to capitalise on the opportunities presented by the Internet of Things, but had a long way to go to become competitive on a global scale. Ros Harvey, founder and managing director of Tasmanian agtech start-up The Yield and co-founder of the Knowledge Economy Institute (KEi), believes commercial-grade IoT solutions in Australia are still few and far between. She believed many players were still prototyping systems, which did not always lend themselves to business-grade deployment. She also said that many companies were quick to say, “we’re doing IoT', without understanding what it is, such as mis-classifying device-driven data logging as IoT. “For me, [the] Internet of Things means you’ve got compute at the edge, you’ve got IPv6 pushing out to the sensor; you’re really instrumenting so you can view smart analytics and leverage data,” she said. "We’re still yet to see good examples of fully integrated services that reliably provide decision support information to end users," Briers said. Briers believed IoT advocates needed to explain to government the importance of IoT to the economy. “There’s a need for unparalleled collaboration and that’s a strong role for government to fill that space, to motivate new standards, and so on,” he said. All of the panellists lauded the government’s efforts in encouraging local innovation through the release of the National Innovation and Science Agenda. Sam Costello – who is spearheading a smart campus initiative at UNSW – added that while IoT could conceivably stand on its own within the Agenda, “we have to acknowledge that it is threaded throughout all of the initiatives in the agenda". If the government did not step in, parts of the private sector were interested where solutions appeared to be technically viable. Cisco's A/NZ CTO Kevin Bloch said multinational corporations could afford smaller IoT companies and start-ups global distribution opportunities that government funding can fail to generate. “The government has probably done enough [to encourage innovation]," Bloch said. "The ball is in our court now. Bloch believed that for every dollar spent on IoT research and development, $10 should be spent on product creation, and a further $100 on taking the product to market. The panellists agreed certain industries in Australia could become hotbeds for exportable IoT products and services, primarily due to existing world-leading positions in those spaces. Mining, agriculture and food, and freight and logistics industries were raised as existing strengths. However, Harvey highlighted the R&D sector as also being an area of opportunity. “One of the things that [the KEi] has been working really hard on is how we can use IoT to increase the effectiveness of our R&D spend, where we know we’re at the top of the league table in terms of expenditure, but at the bottom when it comes to [industry] impact,” she said. Costello said that smart cities and smart campuses should also be “high on the agenda”. She likened smart campuses to smaller versions of smart cities. “A lot of the conversation that happens [around smart cities] is that yes, we can do the waste and transport, and those are easy wins, but where is the big value statement for connecting up a smart city? There are environmental impacts and things like that which should also be addressed," she said. The Internet of Things has brought about an increase in the importance of certain skills and proficiencies, and the panellists shared their views on what skills are required and how Australia can encourage the organic development of these skill sets. “At the university level, what’s become apparent is that it’s the data visualisation and the data analysis skills that are really lacking,” Costello said. “Researchers are excellent at examining a particular problem and generating masses of data, but don’t necessarily have the skills to deal with that data in a way that gives them value. Briers sees the scope of the Internet of Things cutting across multiple disciplines, from hardware, networking, software, user experience and others, as justification for multi-skilled talent. “I see the need for more ‘generalists’. We’ve got some specialists, but I’m seeing in the university sector [for example] just how hard it is to get somebody from one specialisation to talk to another person in the same language,” he said. Bloch sought a more robust science, technology, engineering and mathematics (STEM) curriculum. “If you want to do medicine, neurology, psychology, or any career in the future, you’re going to need to understand technology and you’re going to need to understand how best to use data,” he said. Harvey agreed that technology skills are important, and added that communication and collaboration skills are also key. “To do IoT in particular, you’re looking at end-to-end [solutions], so you’re looking at sensors, platforms, data analytics, user interfaces, integrating that with domain expertise and interacting with users,” she noted. The Hon. Victor Dominello, NSW Minister for Innovation and Better Regulation announced Friday that the University of Technology Sydney will host the national centre for the Knowledge Economy Institute (KEi). UTS has appointed Dr Mike Briers as its first industry professor and the first Australian Professor of the Internet of Things. Mike will continue to lead the KEi. 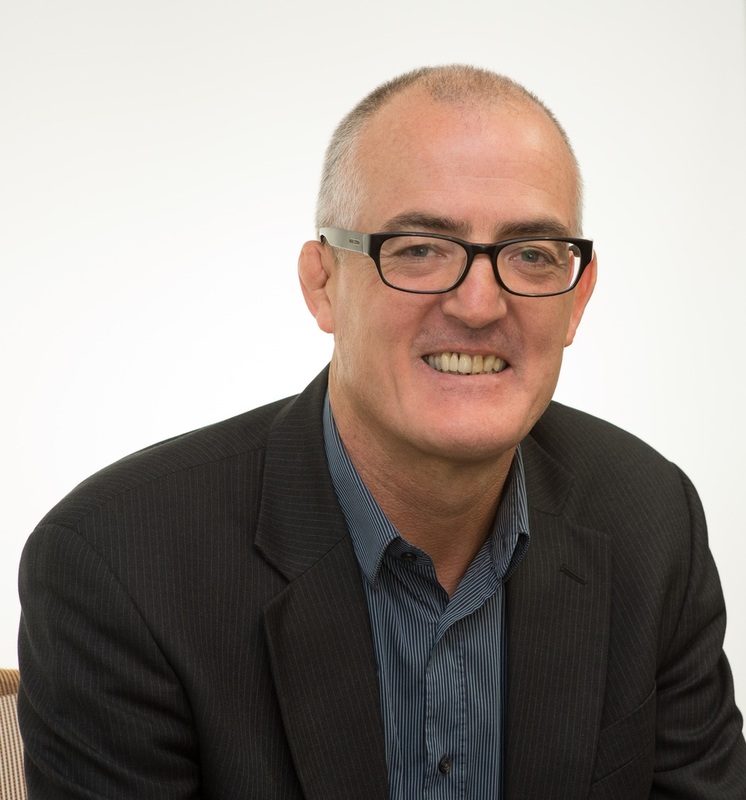 UTS said that Mike brings vast experience and insight gained at SIRCA, itself a collaboration of more than 35 universities, mainly in Australia and New Zealand, developing global data and advanced tools for big data research and innovation. UTS announced that it will invest $2 million in the KEi and thanked Sirca for its leadership in establishing the KEi. UTS Vice-Chancellor Professor Attila Brungs said the digital revolution is making it possible to know things that were previously hidden and see patterns, connections and interdependencies that make complex problem solving easier and better decision making possible. "The UTS Knowledge Economy Institute will explore how the transformative power of digital technology can be harnessed to solve the biggest challenges facing Australia and the world today," Vice Chancellor Professor Brungs said. "To compete globally, with much bigger contenders, and to protect and grow our economy as the resources boom declines, Australia must fight to be a leading knowledge economy, be an agile innovator and have the courage to take risks. "This is why UTS has invested $2million in establishing the Institute and appointed Mike Briers with his invaluable academic expertise and industry knowledge and connections to be its leader. "Cross collaboration – across disciplines, across industries and in partnership with varied communities will be key to future breakthroughs in innovation. This will be the context from which the Knowledge Economy Institute will operate – for the benefit of society." Last week our Chief Strategy Officer Ros Harvey presented at the 2015 Meetings of the World Bank Group and International Monetary Fund. The Black Elephant Blog has done a fantastic write-up of the talks in the post Oyster Heartbeats at the World Bank. Last week, we officially launched the Knowledge Econonomy Institute (KEi) at the AIIA IoT Summit in Canberra. Only the week before, KEi founders Sirca and Cisco also announced the launch of Cisco's Internet of Everything Innovation Centre (CIIC), together with Curtin University who will host the Perth lab. So how do these two initiatives relate to each other? The KEi, led by Sirca CEO Dr Michael Briers, includes Cisco, Bosch, RoZetta, Curtin University (Curtin) and the University of Tasmania (UTas). The CIIC is an integral part of the KEi, and the CIIC Sydney lab will be based at Sirca. "Simply stated, CIIC will focus on the infrastructure from sensor to cloud (the data centre and compute engines) while the KEi will focus on what you do with the data -- the analytics. This interoperation is critical for the success of the Internet of Everything (IoE). This sharply aligns with Cisco's strengths and the announcements, common partners, goals, messaging are no coincidence – this has been in planning since early last year." The KEi connects thought leaders from Australia and around the world who are leading the development of the IoT and the amazing data science opportunities it brings. All of the KEi partners share the vision of growing and accelerating the "Internet of Everything" and bringing those benefits to Australian companies, communities and citizens.